What is a natural Antibiotic? 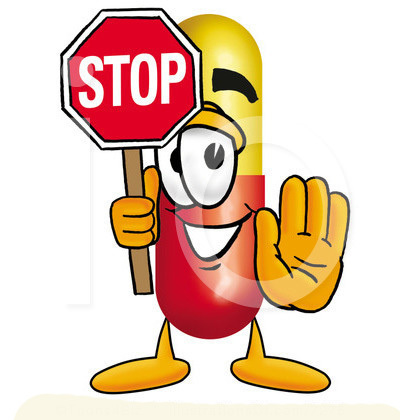 An Antibiotic is a drug or chemical which inhibits or destroys the microorganisms. A natural antibiotic is the one directly available in nature & acts against microbes. Natural antibiotics for humans are safe even for a long term usage. The physicians prefer these antibiotic drugs to treat various diseases caused by microbes. But, there exist long term side effects which may be fatal sometimes. So, instead of using these antibiotic drugs, we can use Natural antibiotics. The synthetic antibiotic drugs induce resistance in microbes which are generally not seen in the case of Natural Antibiotic foods. We can see many natural antibiotics in nature. But, their potencies may vary. So, here we are presenting the most potent and naturally available antibiotics. All these are simple dietary substances that don’t show any ill effects on your body. 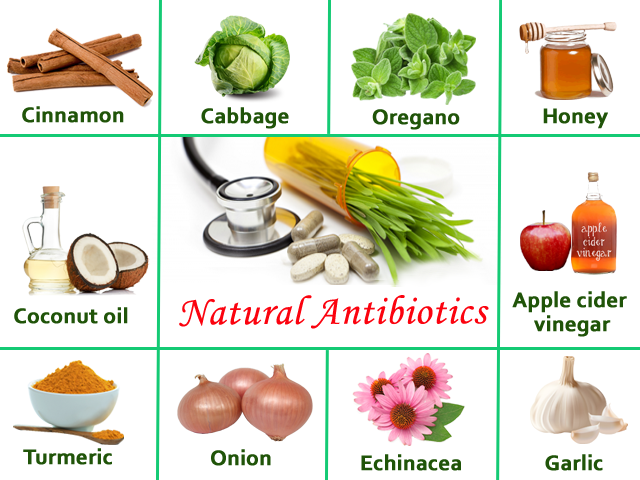 Natural antibiotics for humans is necessary to acquire immunity against various infectious microbes. So, know the benefits offered by the following foods along with microbicidal effects. Honey is the oldest known antibiotic food. It is one of the best foods that have a long shelf life. Honey is widely used as the natural antimicrobial agent. This property of honey is due to the presence of the hydrogen peroxide and sugar. Besides, these two, the low PH levels of honey results in drying up the microbial cell which leads to the death of microbes. All these reasons make the Honey best of all Natural Antibiotics. So, Use honey both externally and internally to treat various ailments. This carvacrol is capable of treating various fungal infections on your skin. To get the antifungal effects of oregano, mix carvacrol oil with few drops of water and apply on the affected area. So, to prevent microbes in your home, you can use cleaning detergent made from oregano oil. Garlic extracts are also potent antibiotic agents that help in treating various ailments. The cloves of Garlic contains two different compounds called alliin and alliinase. These two components when crushed forms a third compound which is unstable and is active only for few hours. The third and active part is called Allicin. This allicin in garlic is responsible for the natural antibiotic activity of the garlic. This allicin in garlic is responsible for the natural antibiotic activity of the garlic. So, if we ingest the garlic in raw form, it will act against various microbes in our digestive tract. But, we should consume them in the natural state as cooking the garlic results in destroying the Allicin making it useless. So, prefer eating slightly roasted or raw garlic at least once in a day. Turmeric is far more than a culinary from the ancient time. In the olden days, to stop bleeding and to heal the wounds faster. The turmeric, when taken internally or externally, can act against microbes and help in the prevention of sepsis, infections in wounds. In addition to disinfecting and preventing infection, turmeric also contributes to stopping pain and swelling while promoting the healing of damaged skin tissue. It has also been traditionally used in India for cosmetic purposes, for clearing up blemishes as well as giving a natural glow and radiance to the skin. It is also the best herbal antimicrobial supplement you can give to your body. Coconut oil is widely used for cooking and in beauty treatments. It is tough to list all the ailments that coconut oil can cure or treat. Due to the presence of Lauric acid, a medium chain fatty acid the coconut oil possess antibacterial, antifungal and antiviral properties. This fatty acid destroys the lipid coating of the microbes and destroys them. Also, In addition to this, coconut oil also possess antioxidant properties that boost our immune system. So, cook your food with coconut oil which has very low-fat content. Also, In addition to this, coconut oil also possess antioxidant properties that boost our immune system. So, cook your food with coconut oil which has very low-fat content. Also, In addition to this, coconut oil also possess antioxidant properties that boost our immune system. So, cook your food with coconut oil which has very low-fat content. You can use these natural antibiotics for tooth infection. Most of the people don’t prefer garlic due to its harsh odor. But, there is always a better alternative which you love. Yes! Onions are more pleasant and tasty even in the raw state. Both the garlic and onions have similar antibiotic properties, but garlic is a bit more potent than that of Onions. So, if you are allergic to garlic or if you don’t like to have garlic, add this onion to your diet. An active compound called alkenyl cysteine sulphoxides (ACSOs) present in the onions is responsible for the Natural Antibiotic activity. Cinnamon is the one best spice which tastes excellent. You can eat this as such or can just sprinkle half a tablespoon full of powder on your breakfast recipes. Cinnamon is a natural antibiotic and also lower the blood sugar levels. When you mix cinnamon and honey, its potency will be increased. Honey and cinnamon make for a powerful combo for fighting infections. Few people will be allergic to cinnamon. So, if you notice any such allergies avoid it and try any other natural Antibiotics. Apple Cider Vinegar is one of the most potent Natural antibiotics. The antimicrobial action of the ACV is due to the presence of Malic acid. Malic acid is known to possess antiviral, antibacterial and anti-fungal properties. Besides these properties, there are several health benefits of having ACV regularly. So, Add Apple cider vinegar to your salads and get the best benefits of ACV. Echinacea is a most popular herb in the United States from the past two centuries. The importance of this herb started declining after the development of modern antibiotics. But, now it’s again the trend of naturally healing products to save ourselves from the side effects of various drugs. Many studies and researchers had proven the effectiveness of Echinacea against bacteria. It is also an immunostimulant (boosts immunity). Unlike conventional antibiotic drugs, the Echinacea kills bacteria directly by killing the germs by strengthening your immune system. The active ingredient used for medicines is called echinacoside, and it is a natural antibiotic, as well as being disinfectant, antifungal and one of the best antiviral herbs. Ginger is one of the best spices that you can have regularly. Besides being Natural antibiotic, it has various therapeutic properties that help in healing indigestion, treating cough, etc. Ginger consists of phenols and gingerols which act against microbes by denaturing proteins and destabilizing cell membranes. So, eat ginger regularly for all the above reasons. Ginger also helps in treating food poisoning. So, the best way to add this in your routine is consuming the fresh ginger by adding it to your smoothies. The cabbage is vegetable rich in sulfur. Not just cabbage but all the cruciferous family vegetables like broccoli, cauliflower, etc. are rich in the sulfur compounds. Also, the cabbage contains high quantities of vitamin C which is potent against microbes. Do you know that One cup of cabbage provides nearly 75% vitamin C which you need every day? So, have cabbage regularly in your diet. The sulfur can kill the microbes by causing breakdown of the cell wall and flushing out the inner components out. So, these are the best and powerful Natural Antibiotics foods that you can find right away in your kitchen. Instead of treatment, prevention is much better. Include any of these top 10 Natural Antibiotics in your diet to build an active immunity. These foods do not possess any harmful effects, except some people find few of them allergic. So, Check the foods that suit you and enjoy your food to stay strong.